Very happy to announce a new graphic novel project that will be out in early 2018, Zombio! The series was written by my husband, Mike, and illustrated by me. The cavet in this is the book was written as a lituratre project by my husband over 20 years ago when he was in elementary school. 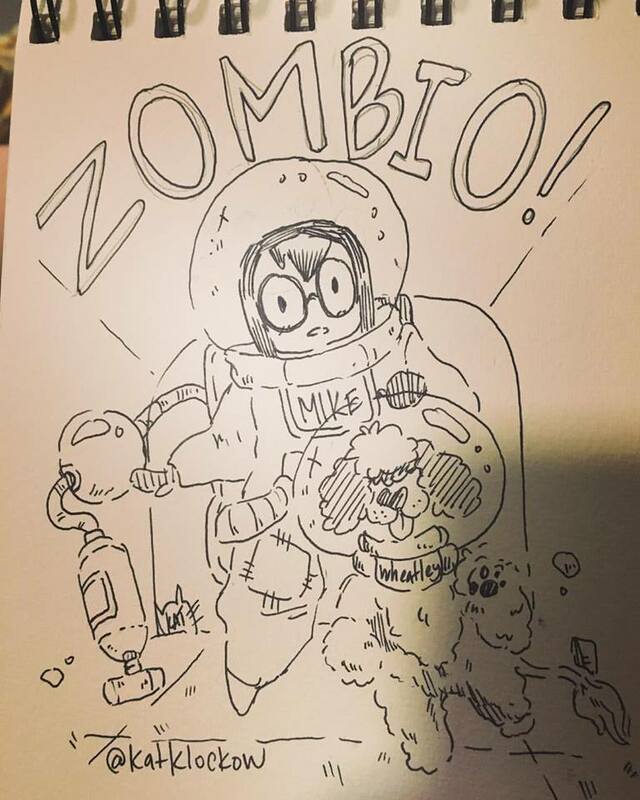 It is a sci-fi story, taking place on a strange and new planet called Zombio, where young Mike and his trusty dog Wheatley explore this new planet and make friends and have adventures with the local inhabitants, the Zombie Family. Plus, this graphic novel is suitable for all ages! You can check out more about the series and its progression from concept to reality on the Klockow Comics Patreon site. It is becoming a featured piece of my artblog there. Distribution plans for once the series is complete are still being worked out, but we do plan on having it availble both in print and digital formats.